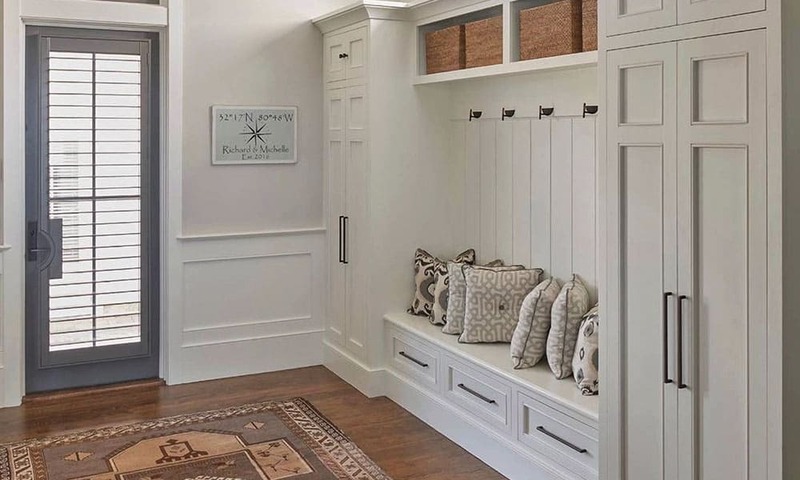 A mudroom done right can transform your forgotten boot-drop from messy to magnificent. A mudroom done right can transform your forgotten boot-drop from messy to magnificent. You can custom build your dream cloak room, or you can pick up a relatively inexpensive pre-built organizer to create some mudroom magic. These smart and versatile hall trees come equipped with spacious storage and bench seating and can become the focal point in one of the most used rooms in your home. 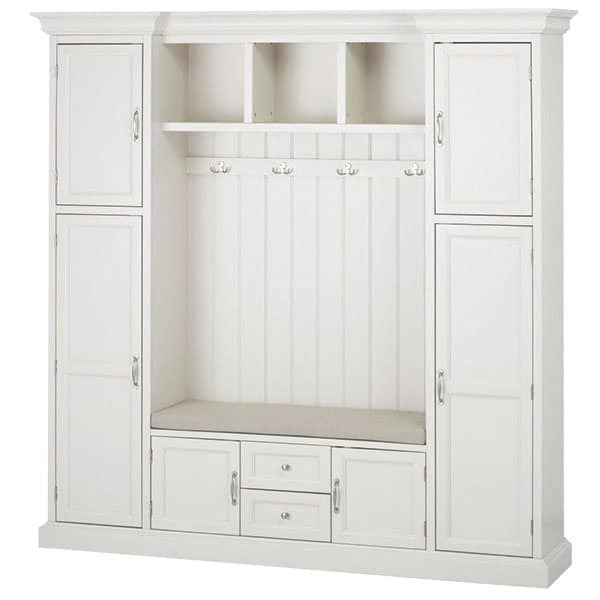 Royce, Polar White Hall Tree, $950; homedepot.com. 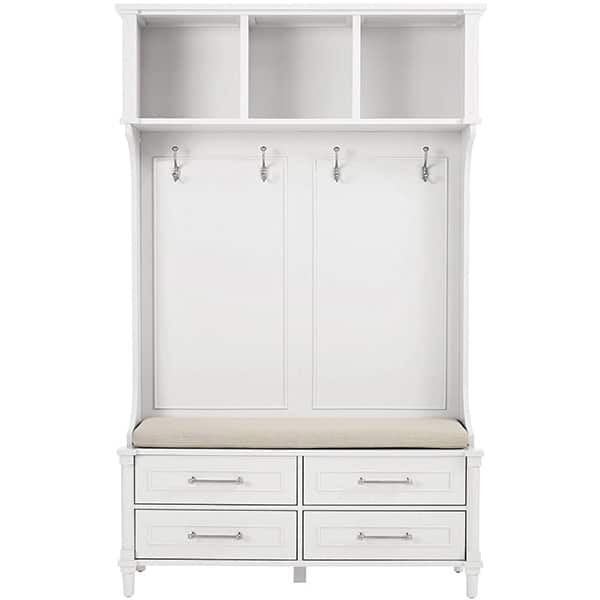 Aberdeen, Polar White Double Hall Tree, $513; homedepot.com. 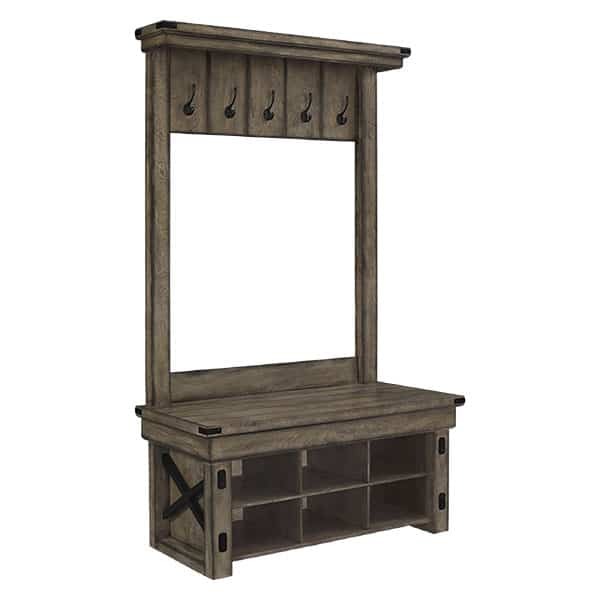 Ameriwood Home, Wildwood Entryway Hall Tree with Storage Bench, $346; hayneedle.com.